The books on this page — serving to print fictions not included in the previous independent WEIRDMONGER or LAST BALCONY — are aimed at basic readability in a crystallised tangible paper form but not at the niceties of typesetting! There are no contents lists in the books themselves. This is just a hobby – bringing out these old, otherwise uncollected stories – that probably represents my cheap and cheerful personality better than perfect editions! But the text, if not the typesetting, is mainly perfect! You can buy the books direct from the printer. Alternatively, if you would like them signed by me with consequent extra postage, please contact dflewis48@hotmail.com to enquire first. Many of the short fictions in these books were previously published in various independent print publications 1986-2000 – as well as later appearing on-line upon the Weirdmonger Wheel. The thingies in THINGIE and the novellas in STROLLERS have previously been shown on-line only. The short fictions published in WEIRDMONGER (Prime Books 2003) and THE LAST BALCONY (InkerMen Press 2012) do not overlap with the short fictions listed below nor with each other’s contents. Their contents are shown HERE and HERE respectively. There are also many other new and previously published short fictions by DFL not printed in any of these books. These are some of my own favourites among the 1000 plus short fictions published mainly in the 1990s under the DF Lewis name, substantially revised in 2013. 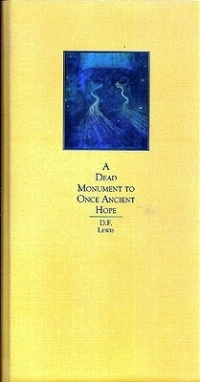 A DF Lewis novel written in 1974. An acquired taste. For DF Lewis completists only. With some early writings by PF Jeffery (author of JANE and other novels in the ‘Warriors of Love’ duodecology). My fiction thingies written since the first THINGIE book plus some major rewrites in recent years that were not published in the DABBLING WITH DIABELLI or A DEAD MONUMENT TO ONCE ANCIENT HOPE books. The above two books – Emoss Crack and Miscreant in Moonstream – are separate novelized patchworks of stories many of which appeared in print in the 1990s and in the above books on this page (ie in different individual forms). These ‘novels’ were compiled and linked together under the above titles roughly at the turn of the last century and were shown on-line. Des’s Big Brother: some of my real-time comments on the UK Big Brother TV Show from 2004 to 2012 while in ‘conversation’ with Marion on the TTA on-line forum. The Small Press Ark: The Baser Pulps – my scans of some of the covers of my own contributor copies from the 1980s/1990s Small Press magazine world and my comments that appeared on both the Vault of Evil and Workshop of Filthy Creation on-line forums during 2008. These are the full colour images copied and pasted direct from the internet without editorial control other than just choosing the images and words originally made by myself alone. There is no attempt to ‘professionalise’ the look of the contents, but simply to provide the images and words as a long-term collection in a real book. £49.45 plus postage. ‘The Hawler’, ‘Klaxon City’ and ‘The Angel Megazanthus’ are books only available to DFL! Photos of some of the above books in the wild: here. 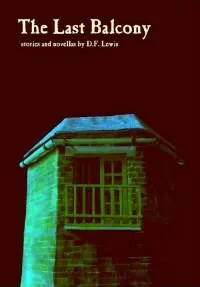 NEMONYMOUS 123456 · DF Lewis as editor, publisher, writer and reviewer of fiction, plus hawler and synchronist.